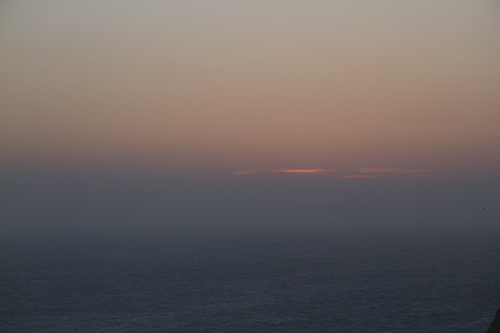 I spent a fantastic week on Cape Cornwall in March totally immersed in my work. The plan was to make a short film and series of photographs exploring the relationship between the land, sea and sky, specifically the transitions between those three elements. It was good to have a focus, but at times by myself and without the normal activities that punctuate a day I did become somewhat obsessive! I reflected: at times in some lighting conditions the line between the sea and the sky blurred or even disappeared, and it was at this point that I liked to get lost in its transition and to be enveloped by it. By closing my eyes when the sun was shining it made my eyelids glow, this is how I imagined it might feel to become one with the horizon. The 14 printed and framed pieces and 3 ‘moving photographs’ that make up ‘Lost in transition’ were selected from 1000 images and 20 short films. 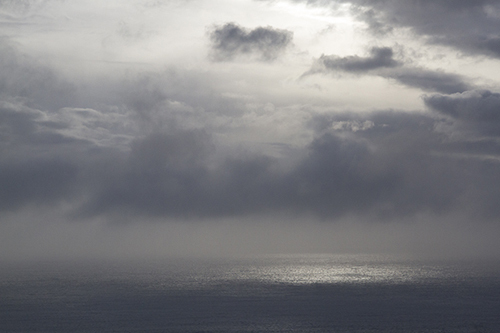 They represent a range of content that explores the transition between land, sea and sky and reflect my completely absorbing time on Cape Cornwall.